How Far is Fortune Lotus? "Lotus" from Fortune Abodes is designed to give our customers true value for money, while providing them with a perfect lifestyle experience. These homes are thoughtful blend of comfort, vaastu, amenities, features, price and location. Lotus was evolved with our prime concern for the comfort of children, adults and senior citizens. So this is a perfect home with everything you have dreamt of. Locational advantage by train provides accessibility to the city which is fast and less expensive. Outer Ring Road(ORR) which connects Vandalur to Minjuur via Nemilichery and Chennai Thirupathy Highway(CTH) at very close proximity creates road access to anywhere in the city extremely easily. 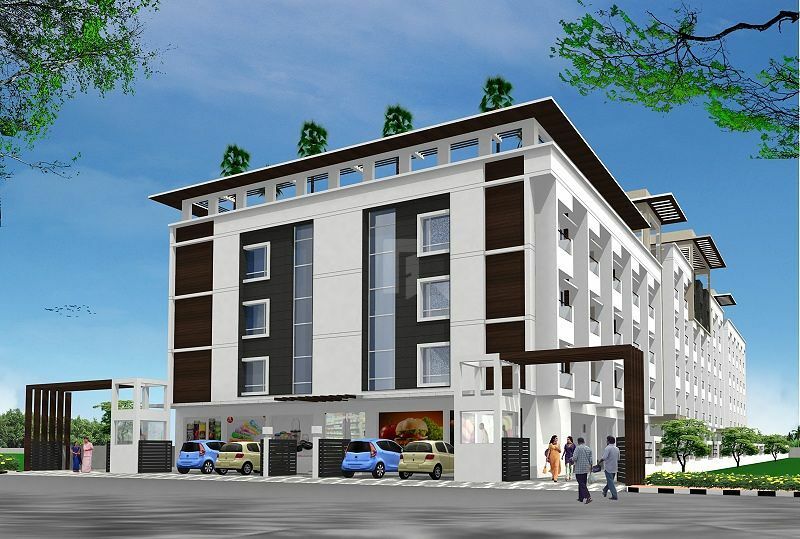 Cost of the apartment - starts from- 1BHK 455 Sqft-18.64Lacs & 2BHK 600Sqft -24.12Lacs (All Inclusive) makes it very affordable for people to invest in an apartment in Chennai and retain a property with lesser investment and higher returns. Low monthly maintenance charges to the tune of Rs.650-Rs.1000/flat Several common affordable amenities like children play area, multipurpose hall, Gym, Library , children day care centre, departmental store, Indoor games room etc. Well lighted and ventilated flats with good ground water source. 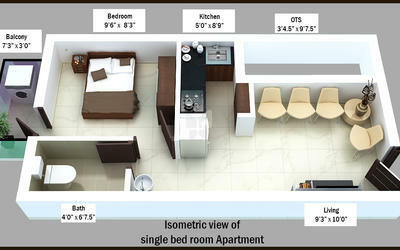 Small flats equipped with the utilities of a big projects. Phase I is completed and occupied. Phase II is available. Avadi has many commercial establishments, including restaurants and apparel stores; there are budget options, and luxury stores for you to splurge. Picnic spots in the area are many, and the major spot among them is the Avadi Lake. Those who love dining out can find many options in Avadi--from A2B to V4 Midnight Dhaba. 1. JAYA Engineering college, arts college, poletechnic, Teacher training college. RCC framed structure with brick wall. Main Door in African Teak wood frame with Flush Doors (1st quality), other doors are flush doors and windows are with aluminium sliding type. Platform will be of granite slab with stainless steel sink. 15inch X 10inch glazed tiles will be laid up to 7 feet height. Parryware, CERA, Metro and other ISI branded Equivalent fittings will be provided. 24inch X 24inch ceramic tiles inside the flat. Staircase and common area will be Ceramic tile /Shahabad. Main door will be given varnish and other doors will be enamel painted. Wall & Ceiling will be painted with Distemper paint. Concealed wiring with necessary points. T.V. & Telephone point & geyser point will be given. ISI branded fixtures will be used. Fortune Abodes (p) Ltd has been into the construction of residential, commercial and infrastructure projects since 1992 though initially under the parent company’s tag of GNV Construction. We have always given atmost attention to the layout and planning of buildings considering minute aspects of basic comfort and workability. We have always delivered what we have committed and inturn we commit only what we can deliver. This trust what we imbibe in our customers is what we believe will take us a long way. We believe in delivering homes with clear titles, good quality, no deviation from CMDA regulations, vastu compliant and customizing the apartment to the maximum extent to client needs making buying an apartment a cherishable experience with us. The very fact that we have completed over 40 projects with a lot of repeated customers stands testimony to our delivery and commitment. The relationship we maintain with every apartment buyer and a land owner is beyond business as we believe we convert dreams of people to reality so we treat every customer special.